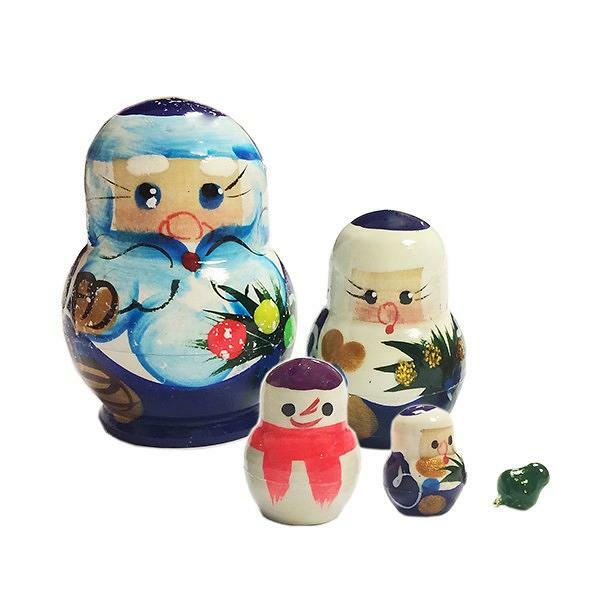 In Russian traditions, a matryoshka symbolizes family well-being, wealth, and prosperity. For centuries talented Russian craftsmen have been creating these outstanding works of art to show the true beauty of Russian folklore. Father Frost is a main kind wizard in Russian folklore, he is the favorite New Year character of all children in Russia and post Soviet Union countries. Present this gift with a meaning to somebody you really care for or treat yourself to this wonderful symbolic New Year Russian masterpiece.